Kenya’s biodiversity is remarkable, and that’s why it remains atop any safari aficionado’s list of Africa’s top wildlife-viewing destinations. This comprehensive discovery of Kenya samples a broad range of habitats that support a staggering number and variety of animals. 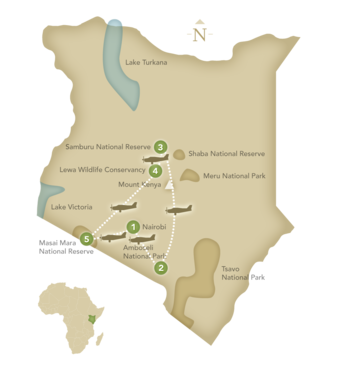 Multi-day stays in Amboseli, Lewa Wildlife Conservancy, the Maasai Mara and Samburu will likely reveal all the icons of the bush: elephant, buffalo, wildebeest, zebra, giraffe, lion, leopard, multitudes of antelope, and the list goes on…and on. 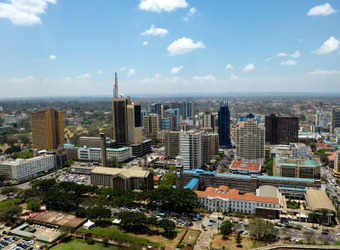 Kenya has long been a fascinating country that merits extended exploration. 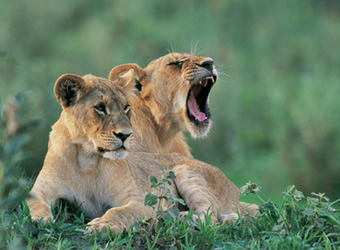 This comprehensive itinerary affords the luxury of discovering each of Kenya's richest wildlife habitats. 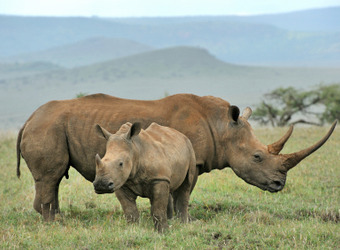 From the private Lewa Conservancy that's bringing back endangered species like white and black rhino, to the famous national reserves and parks, while getting to experience a taste of Maasai culture along the way, this safari surveys the best of Kenya. The wild and verdant savanna of Meru National Park gained global renown in the writings of naturalist Joy Adamson, who lived here with her husband, George, and Elsa the lioness of Born Free fame. 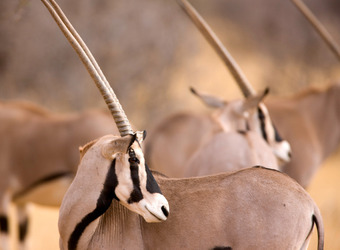 The park is crossed by three major rivers and numerous mountain-fed streams, creating lush habitat for zebra, elephant, cheetah, leopard, reticulated giraffe, eland, waterbuck, hippopotamus, hartebeest, buffalo and more than 300 recorded species of birds. Snow-capped Mount Kenya stands sentinel over all. In the eastern corner of the Samburu ecosystem is Shaba National Reserve, the secluded wilderness where famed conservationist Joy Adamson released her first hand-raised leopard into the wild. At home in this rugged, hilly landscape watered by the Ewaso Ngiro River is a magnificent collection of wildlife, including Grevy’s zebra, reticulated giraffe, elephant, buffalo, lesser kudu, oryx, Grant’s gazelle, Somali ostrich and abundant lion. At the heart of Samburu’s rugged wilderness in arid northern Kenya, the Ewaso Nyiro River flows—a permanent water supply and oasis that is a magnet for wildlife. 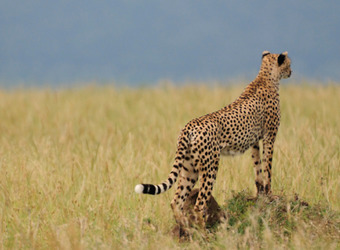 Samburu offers Kenya’s most frequent leopard sightings, also lion, cheetah, elephant and buffalo. 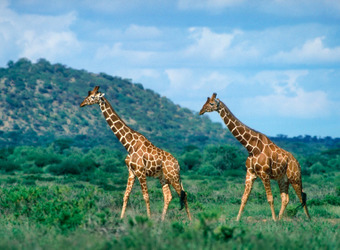 Found only in this region are such creatures as reticulated giraffe and Grevy’s zebra. Birdwatching is superb, with numerous weaver birds, martial eagle and blue-legged Somali ostrich.